New #Golf Clubs, New Swing...New Tiger Woods? Armed with new Taylor Made golf clubs (driver and woods) and a reworked swing, Tiger Woods makes his way to the first tee of his Hero World Golf Challenge feeling good about his game. Heck, the former number one golfer in the world parlayed two eagles on the front nine in the Wednesday Pro-Am but is that enough or is Tiger Woods over-the-hill? At almost forty-one years of age, Tiger Woods is hardly over the hill as golfers like Tom Watson and Jack Nicklaus would attest to yet you could almost hear Woods' thoughts out loud while contemplating this as an issue. Let's see, Tiger stroking his graying goatee while thinking of Jim Furyk's miracle fifty-eight at the Travelers Championship, "it’s possible. I’m just going to have to find different ways of doing it." TaylorMade M2 driver, 3-wood, 5-wood. Scotty Cameron Newport 2 putter. According to SBNation, now that Nike is out of the golf club business, Tiger Woods has his choice of clubs which opens him up to being able to mix-n-match irons, woods, driver that could be more beneficial to his overall reworked old, new, old again swing. "I hit everything," said Woods. "And I had control of everything. I can hit all the shots now, on call." As for his golf swing, top fifty instructor, Brian Manzella, says Tiger looks "golf strong" with "a much more pronounced in-to-out swing path than before--which tends to produce a draw--and a finish that moves much more upright much more quickly after impact." Tiger Woods hit the range on Wednesday. New and Improved Tiger Woods? ... We will have to wait and see but it would be great to have the old Tiger Woods back on the golf course, wouldn't it? Will you be watching the Hero World Golf Challenge? Tell us your thoughts in the comments section of this Golf for Beginners blog and on Twitter @Golf4Beginners. The Shanks are probably the most horrifying words in golf! The hozel hits the ball instead of the face and POW, off your ball bolts to the right (if you are a righty) - it's a frustrating feeling and you probably are fearing even bringing up the subject lest it creep into your game! Once you "catch" the Shanks, it's hard to get rid of them (snowball effect) as it shakes your confidence down to the core. Briefly, what are the shanks? According to top professional golf instructor Butch Harmon, "shanks usually come from an excessively closed face. The player swings out to in with the face closing hard -- both actions push the hosel closer to the ball (top). If the hosel catches the ball, it's shank city." Wait a minute! According to Michael Breed it is an open club face which causes the shanks! Which one is it? Two different thoughts with one probable outcome? Believe it or not, getting the shanks is not as bad as it seems. Short game guru Dave Pelz says the shanks are, "very close to a solid golf shot. If you are shanking your shots, your impact point is the hozel of the club instead of the club face (only about a 1/2 inch difference)." 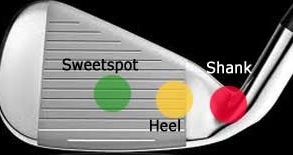 Whether the clubface is closed or open at impact, it seems that all pros agree that the hitting the hozel instead of the face at point of impact causes the shanks. Let's now figure out how to end the shanks. - Change Golf Clubs: Taking a golf club out of your bag that you always have success using, even if it doesn't accomplish you goal, may help stop the downward spiral. - Try using a different shot in your bag even if its not appropriate for what you want to accomplish. Switching up your physical game might change your mental game. Anything you do is better than a shank switch up until your confidence returns. - Core Fundamentals - GASP: Make sure you didn't change any of your swing basics: check your balance, (standing tall to the ball), make sure weight is evenly distributed, and that you are not gripping the club too tightly. -While waiting your turn to hit, take a club out and stand at address (in a practice swing). Put a tee an inch in front of the toe of the club face and another tee an inch behind the hozel. Take several practice swings without hitting either tee. - keep the distance from the ball and your line straight at point of impact. The Shanks don't have to ruin your round of golf. Take a step back, take a deep breath, change your thoughts and think about all of the great shots you have taken up to this point. A positive mental attitude is still your best friend on the course. How do you get rid of the Shanks? Add your golf tips in the comments section of this golf blog and on Twitter @Golf4Beginners. How Much Would You Pay to Play #Golf on a Donald Trump Course? The fifteen most expensive courses to play a round of golf were recently named by Worthly.com. A few layouts were well known as the fillers of endless bucket lists while others were overlooked for more notable names. An old proverb states, "Something is only worth what someone is willing to pay for it." The question this blog asks is, what is your pay limit to play a round of golf? Two notables on the big ticket list of golf courses, Pebble Beach and Pinehurst Number 2, $475 and $375 respectively, are the stuff that dreams are made of, according to the some of the greatest golfers in the world. 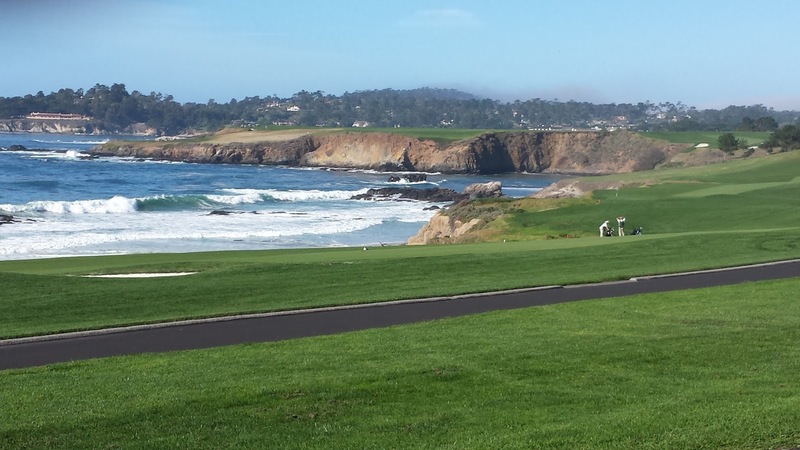 As someone who has crossed Pebble Beach golf course off of her own bucket list (Spyglass and Spanish Bay, also on this list), I have to agree...breathtaking...however, I played as a guest. The question is, would I have put my money where my mouth is? Pinehurst Number 2, the Donald Ross showpiece, may be surrounded by several worthy courses but it is this one which kindles emotion like no other. Tommy Armour once stated about Pinehurst Number 2, "The man who doesn't feel emotionally stirred when he golfs at Pinehurst beneath these clear blue skies and with the pine fragrance in his nostrils is one who should be ruled out of golf for life." The Ocean Course at Kiawah Island, South Carolina, also made the list and, instead of Pacific Coast views, the spectacular Atlantic Ocean is the featured attraction. For $320 a head, you can play the same course as the top golfers in the world - get onto these spectacular fairways soon as the Ocean Course is slated to host the 2021 PGA Championship. President-elect Donald Trump's course, Trump National Golf Club in Los Angeles, California (Rancho Palos Verdes), rounded off this list of most expensive rounds of golf at $275 and, with Trump, you get what you pay for, notably a world-class experience. Although the 2015 PGA Grand Slam of Golf was mutually pulled from this course, I believe it is only a matter of time before this masterpiece takes its place on the list possibilities for a professional golf tournament. Also couldn't hurt to have the President as host of the tournament...or would that be a conflict of interest? Wonder if Mr. Trump will play golf with President Obama in the near future? Looks like Mr. Obama will have plenty of time off after January 2017! Take a look at the list and feel free to comment whether or not you have played, or wish to play, any of the golf courses in particular on this expensive list. Follow Us and Comment on Twitter @Golf4Beginners. Kiawah Island Ocean Course courtesy of Evan Schiller Photography. The 2017 Golfshots Calendar is now available featuring the most beautiful courses in the world at your fingertips. For the past four years, I have been invited to play a trinity of the top golf courses in Myrtle Beach, South Carolina, as part of the Mystical Golf Writer's Tournament; The Witch, Wizard and Man O' War. This year, instead of this terrific event being held during our usual mid-October dates, Hurricane Matthew touched down from Florida through to North Carolina, causing harm to many golf courses along the Grand Strand and our tournament was reassigned...just in case. How were these three immaculately maintained golf courses affected or, were Mystical forces at work keeping them protected from harm? Just after the storm, Claude Pardue, president and CEO of DG Golf Management which operates the Mystical trio of golf courses issued this statement, "We didn’t suffer any significant damage, just a lost weekend in the middle of our season, but we can’t do anything about that...". A sigh of relief was elicited...whew, good news! I was off to see the Wizard once again! While playing each golf course, I silently nodded my head in agreement with Mr. Pardue and, although there were a number of trees felled (cleared due to the amazing job done by the groundskeepers) on each golf course and there were some wet areas still in play, it appeared that all three courses were ready and waiting for the next sojourner to travel their creaky, meandering wooden paths. Busy season re-starts in Myrtle Beach through Christmas as cities in the north and west experience their first snow fall. 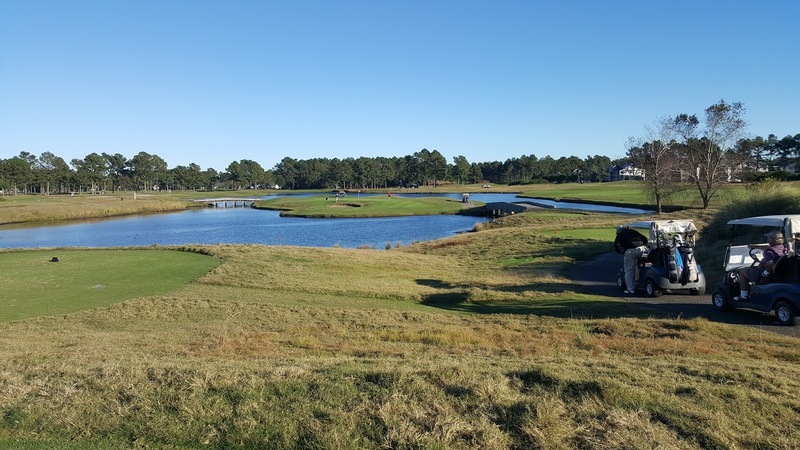 When you are booking your tee times, here are a few reasons to include The Witch, Wizard and Man O'War in your visit to South Carolina's Grand Strand. The Mystical Golf Courses have different designs so you won't get bored. - The Witch Golf Course really comes through on its name - a peaceful eerieness surrounds golfers as they make their way through the forest riding on creaky bridges. Designed to be playable from tee to green, you still have to hit a straight shot, the bunkers are well-placed, the greens are different than the Wizard and Man O' War (I believe they are Tift Dwarf). If you hit a good shot you are rewarded but beware a mis-hit...it will cost you strokes. My playing partners read that this was supposed to be the easiest of the three courses but, even though we struggled a bit, we all came out with praise for its level of difficulty. 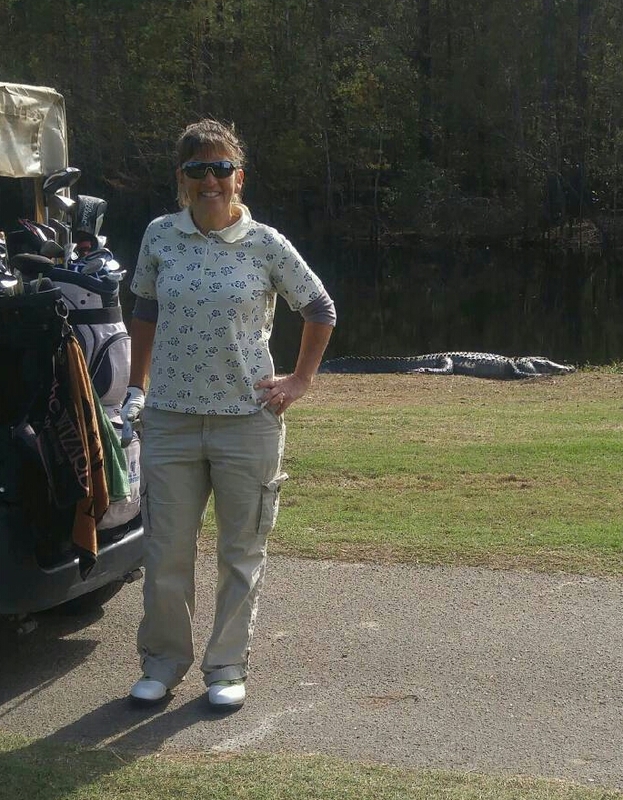 Be ware of the alligators which laze by the lakes and, if your golf ball lands near one of these seemingly docile creatures, take a drop! - The Wizard appeared to me to be the easiest for the three days. It is a links-style golf course, open, with rolling fairways but beware of the rough which is quite gnarly. Bentgrass greens are rolling yet playable and in great condition. 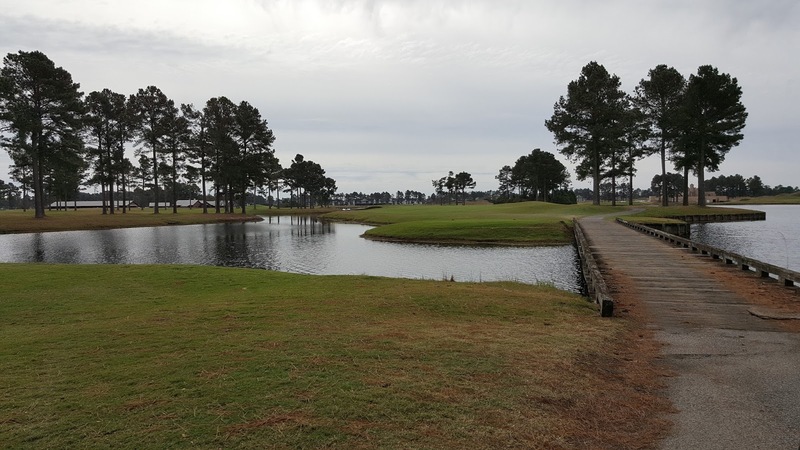 - Man O-War is definitely a golf course you should add to your vacation list while in Myrtle Beach if you like to be surrounded by water. The course is scenic and always in pristine shape (as are the other two Mystical sites). Definitely practice your putting before heading out for your round as the greens are fast, tricky and unforgiving. This tip from Mr. Pardue should carry you through as you make your way through each of the three Mystical Golf Courses - when you see trouble, stay away from it. Sounds like simple advice but how many of you will actually follow it when you come upon Dan Maples' "arsenal of weapons" within each course layout? The "Magical Mystical Tour", as coined by Travel Industry Today, is in full swing during this time of year, offering great tee time values. The Witch and Man O'War are listed as two of the fifteen best courses in South Carolina, according to Golf Advisor reviews. Staying in the Myrtle Beach area for a few days? The Witch, Wizard and Man O' War are centrally located so you don't have to travel huge distances when staying on the Grand Strand; all three courses are located near each other with The Wizard and Man O'War actually sharing a lake. All three have separate club houses and facilities but it's nice to know that, if you are not a local, you will easily find these three gems. Thank you once again for your hospitality Claude Pardue and best regards to The Breakers Resort for the delicious food and attentive staff service. To all three Mystical Golf Courses and to their dedicated staff of ground crew and management (Tim, Graham and Randy), thanks for keeping the fairways and greens in such great shape. Have you played any or all of the Myrtle Beach Mystical Golf courses? 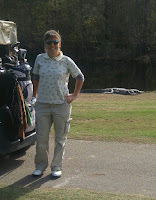 Share your experiences on this golf blog and tag us with your responses on Twitter @Golf4Beginners and @MysticalGolf. Whether you are a golf beginner or have been playing the sport for years, the wrong shaft on your clubs, and on your driver in particular, can make you lose distance, accuracy and wreak havoc with your game. Let's first consider the beginners' golf swing; awkward for sure, could be fast or slow speed and, most likely, with a considerable lack of proper tempo. An amateur who has been playing golf for years can still have the same problems as the beginner but improper swing thoughts will already be ingrained. The shaft of the driver surely does have a lot of work to do, doesn't it? Golfalot.com states that "the length, flex, torque, kick-point, weight and alignment of the shaft all have an effect on the performance of your golf club." It is, therefore, important for all players to take lessons to understand the relationship between the driver and your swing as well as to be custom fit for golf clubs before making your purchase, avoiding an expensive mistake. 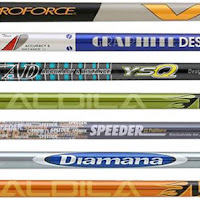 Which Driver Shaft is Right for Your Golf Swing? 1. Have you been measured for a new driver? Going to a store such as PGA Tour Superstore or Golfsmith (a few stores will still remain open) will give you a wealth of information about your swing from speed to spin rate. During my custom club fitting, I was told by the store rep that a "higher kickpoint shaft makes the ball go lower," News to me and, if you don't know what kickpoint is, I suggest you also question a professional - we are truly always learning! According to HittingTheGreen.com, "the faster your swing the more the shaft of the club is going to flex, so to help control the swing, if you have a fast swing speed you should always opt for clubs with a stiff flex." Are you more interested in distance, control or both? Are you looking to correct a slice, hook...are you not launching the ball properly? Is your golf club so old that your mates laugh whenever you pull it out of the bag? A shaft can be too long or too short - with longer shafts you should be able to hit the ball farther but you will probably suffer with diminished accuracy, which means you will probably be playing military golf (left, right, left, right...). Instead of building a golf club to fix a problem, find a qualified PGA professional and take a few lessons; the problems in your golf swing will be addressed and corrected - then, visit a custom club fitter! 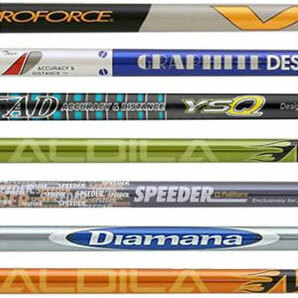 Driver Shaft Flex: Stiff, Regular, Senior, Ladies - which shaft flex is right for your game? The flex of the shaft can directly affect the clubface's alignment at impact. Too stiff a shaft, you will probably lose most of your distance; too whippy and you are likely to slice or hook the ball. How far do you currently drive your golf ball? If the golf ball flies over 250 yards each time, you might look into a stiff shaft. Otherwise, to all of the ego-driven males out there, time to reconsider the flex on your club. According to Golfsmith, stiff shafts are for mid to low handicappers with higher handicappers selecting regular shaft flex. Although ladies (especially beginner golfers) often opt for the ladies flex, golfers with faster swing speeds (like myself) should opt for a regular flex. This means getting fitted for the proper shaft as it may have to be cut down to proper size. As your technique improves over time, it is more likely that your shaft will no longer suit you and you will need to be refitted until your swing stabilizes down the road. Having the proper shaft on all of the golf clubs is important but, since the driver is usually the first club out of your bag, getting it set up correctly the first time can make or break those first tee jitters. PS - Did you notice how many times I mentioned to take lessons and to go to qualified club fitters? That was not in error; I hope some of that subliminally-placed notes within this golf blog will take hold and instill in you the necessity of the right people for the right job - the goal being...to improve your swing and enjoyment on the golf course! Share your golf driver experiences in the comments section of our golf blog and on Twitter @Golf4Beginners.